Opticron is a British company that was was founded forty years ago and now produce an extensive array of optical equipment that includes monoculars, spotting scopes, tripods, rangefinders as well as binoculars. As far as I know, most (if not all) Opticron scopes and binoculars are manufactured in Japan, by what they call "elite optical manufacturers" who produce excellent quality products with high end optical performance at reasonable prices ensuring that you get excellent value for money. Whilst manufactured overseas, Opticron do operate a UK based service centre for all their equipment. Opticron now also has an office in the USA, based in North Carolina as well as 61 US Dealers, 6 Dealers in Canada and 1 in Mexico. Other Opticron dealerships are located in Sweden, Norway, Finland, Denmark, Netherlands, Belgium, Spain, Switzerland, Portugal, Poland, Italy, Slovakia & Ireland. Opticron binoculars range in price from the cheap $80/£85 starters to the high end models cost well over $800/£600 and because they have a vast catalogue, really do aim to offer something for almost everyone. 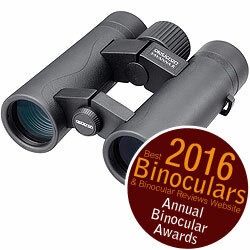 From cheap binoculars for the price-conscious shopper, beginning optics user, biker, hiker or sports lover, right up to the serious optics user, where they produce some really good quality optics for birders, travellers and wildlife enthusiast. As well as "standard" optics, Opticron also produce Marine binoculars as well as powerful giant binoculars for long range terrestrial observation and specialist outdoor applications such as aircraft observation. Depending on the price and quality of the optics, Opticron offer a range of guarantees, from 5 years to 30 years. Their high end optics like the DBA VHD, Auora, Oasis, BGA Classic, Imagic and Verano binoculars come with quality features like the highest quality prisms with phase correction coatings. Made in Japan, the latest versions of Opticron's Imagic binoculars boast many of the highest quality components and coatings currently available , packaged into a lightweight, modern looking chassis and available at a price that competes very well with any other bin in this class. In my review of the Opticron Imagic BGA VHD 8x42 Binoculars review, I was really impressed by the vast array of high end features and components that include their VHD optical system that includes ED glass elements in the lenses, phase corrected BaK-4 prisms with Opticron's own dielectric coatings (Oasis). Small touches of class are also evident everywhere, including nice touches like the lockable diopter adjuster that is incorporated into the main centrally located focus wheel. 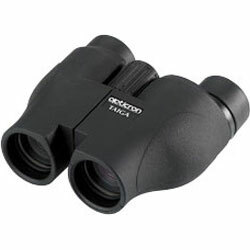 One of their latest offerings, Opticron describe these as being "Smaller, Lighter, Brighter, Sharper" and after I had the chance to test a pair (read my Opticron DBA VHD 10x42 Binoculars review), it is hard to argue with any of these points. Available in 10x42 and 8x42 configurations these roof prism bins have a comfortable open bridge body shape with a chassis that is mostly made from Magnesium, but also uses Polycarbonate where appropriate. Other notable features include ED glass in the lenses, phase corrected prisms with Opticron's own Oasis high reflection prism coatings. In Europe you get a worry free 30 year guarantee or a lifetime warranty in North America, both of which are excellent. 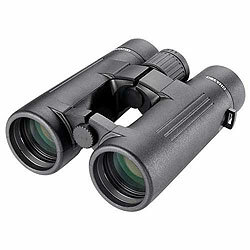 These very high end mid-sized binoculars are squerely aimed at the more serious user for everyday use, but also to those looking for a bin for birding or safari holidays or even for backpacking and hiking adventures, where you need an easy to carry and pack binocular, but still demand a very high level of optical performance. As you can read in my full review of the 10x32 Traveller, these all combine well to deliver a extremely high quality image. Apart from the actual image quality, a particular highlight on both models is the wide field of view, wich for the 8x32 model especially is genuinly class leading. As with most other Opticron products, in Europe you get a 30 year guarantee and a lifetime warranty in North America. The latest versions of the Opticron Verano binoculars have a new super lightweight polycarbonate and magnesium alloy body. The open bridge design is both elegant and simple and have finished weights between 524g and 654g. All these Verano models are made in Japan and utilise a high quality fully multi-coated, internally focused roof prism optical system which has been 'balanced-out' to deliver optimum colour contrast across a wide range of different light conditions. The combination of high quality phase corrected prism and Opticron's own Oasis high reflection prism coatings maximise light transmission and resolution while the complex multi-element eyepiece designs ensure comfortable vision for spectacle wearers with minimal edge distortion. 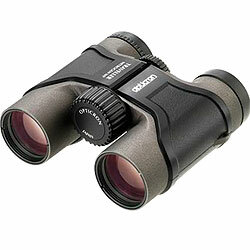 All three Opticron BGA PC Oasis binoculars are 100% waterproof down to a depth of 3 meters. They have also had the air inside them replaced with nitrogen gas to help with fog proofing. They also all come with a 30 year guarantee, a soft neoprene case with a rainguard, neoprene lanyard and objective lens caps. With 5 roof prism models in the series, all have the common aim of being as small and lightweight as possible within their particular size class. To help with this goal, Opticron have used a very compact optical design, which has enabled them to significantly reduce the length of these instruments. As you would expect for a mid-high level bin, these are all fully water and fog proof, have fully multi-coated optics as well as prisms with phase correction coatings applied to them. As you can discover in my review of the 8x32 Discovery, not only did I find them to be particularly compact for a mid-sized bin, but other highlights included a wide field of view, extremely close minimum focus and an excellent quality as well as bright view for a 32mm bin. In the UK these come with a 5 year warranty, whilst in North America you get a full lifetime warranty. 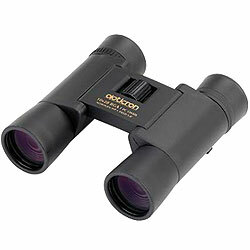 This is a new low cost range from Opticron that currently consists of just two mid-sized models, a 8x32 and 10x32. Both sport the same open bridge body shape, which as I discovered in my review of the 8x33 Savanna R, the quality of which is almost as good as many of the companies far more expensive models like their Verano above. Whilst it is understandable that to save costs they do not incorporate the same level of optics, they do cover most of the important areas and as such seem to compete with the best within their price range. In the UK the Savanna R comes with a 10 year warranty, whilst in North America you get a full lifetime warranty. 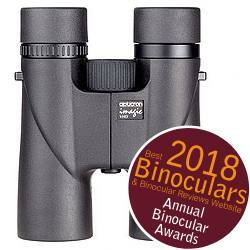 Designed for the birdwatcher and wildlife enthusiast, this roof prism binocular is available in both 8x42 and 10x42 configurations, which according to Opticron, has recently been upgraded with a brand new multi-coating. The Opticron DBA Oasis binoculars are among the very best binoculars produced by Opticron and offer good performance with features that include an excellent 7° field of view with the Oasis 8x42 and 6° with the 10x42 version. Close focus distance is 2.2m. Each Oasis S-Coat is supplied complete with a 30 year guarantee and come with a soft leather case, a rainguard, neoprene bungee lanyard and removable integral objective lens caps. Designed and manufactured to feel as good as they look, these highly durable field binoculars are available in six specifications including a pocket size 8x32 with a huge 8.0° WA field of view and extreme close focus for birdwatching and watching butterflies and other insects. The Compact 8x42 and 10x42 general purpose birdwatching and wildlife observation models. High performance 7x42 and 8.5x50 for extraordinary low light capability and large depth of field for hunting and woodland viewing. 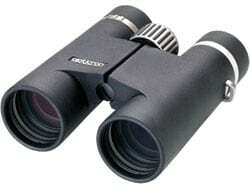 A 10x50 for the highest combination of magnification and brightness. 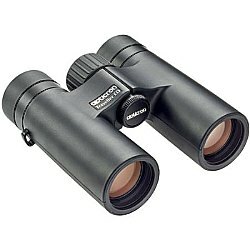 These compacts are a great alternative to quality conventional sized binoculars and are available in 8x, 10x or 12x magnifications. The Opticron BGA T PC Oasis roof prism compacts feature high definition optics with PC Phase corrected prisms with Oasis prism coating. They are also the lightest binoculars in the Opticron range, are fully rubber covered, 100% waterproof and nitrogen gas filled for fogproofing. The 8x24 is the smallest Opticron roof prism weighing in at 240g and folding down to just 95x67mm. Each Opticron BGA T PC Oasis binocular comes with a 30 year guarantee and in a soft leather case with lanyard and lens caps. 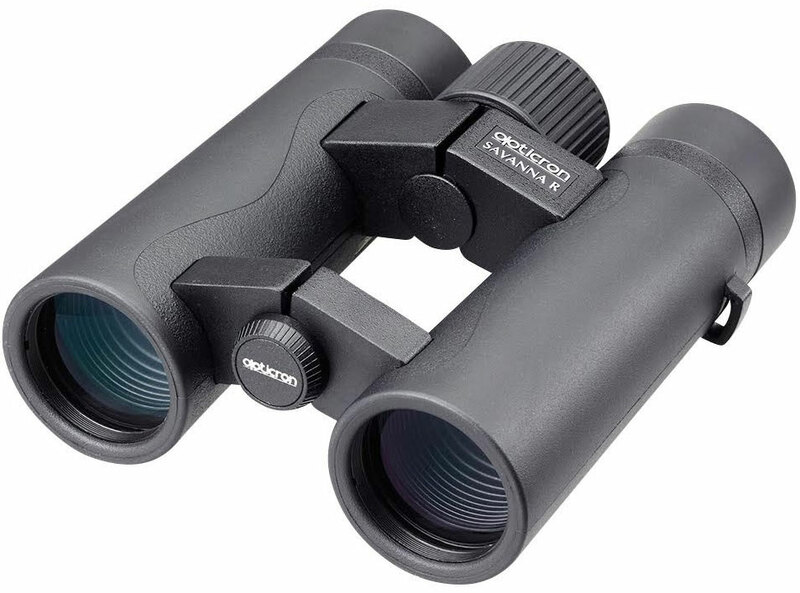 Finished in an excellent quality textured soft black rubber covering, the compact Opticron Taiga porro prism binoculars have recently been updated with a brand new body. 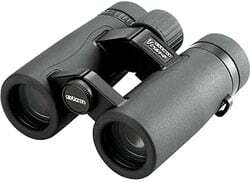 These budget binoculars make ideal take anywhere optics and overall, I think for the amount that you pay for them, you get a pretty good binocular for your money. Read Full Review of the 8x25 Taiga - Where for me the strongest feature of these compared to other compacts was their really long eye-relief. I also think that considering their very low price point, their optical performance is excellent and easily as good as many compact binoculars that are far more expensive than these. Their overall build quality is also good and at no point did I feel that I had a pair of cheap binoculars in my hands. Each Opticron Taiga binocular comes with a 10 year guarantee and a neoprene case with lanyard and lens caps. Available in 6x32, 8x32 and 10x32 and measuring just 98x110mm, the Traveller fits easily into a coat pocket, backpack or sling bag and is an excellent solution for as the name suggests travelling, safaris and most outdoor enthusiasts that prefer the capability of a larger binocular but want the portability of a compact. The Traveller BGA Mg binoculars are designed and manufactured in Japan to offer a high quality viewing experience and feature BAK 4 prism units, PC phase correction and Oasis prism coating. The bodies are nitrogen gas filled and waterproof to a depth of 3 metres, protected in a non-slip rubber covering for comfort and grip and feature wide wheel focusing positioned at the base of the body for superb balance in the hand. 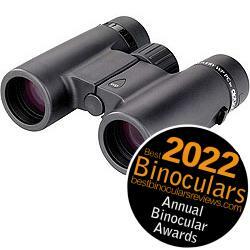 All Traveller BGA binoculars are supplied complete in soft case with rainguard, padded lanyard and objective lens caps. 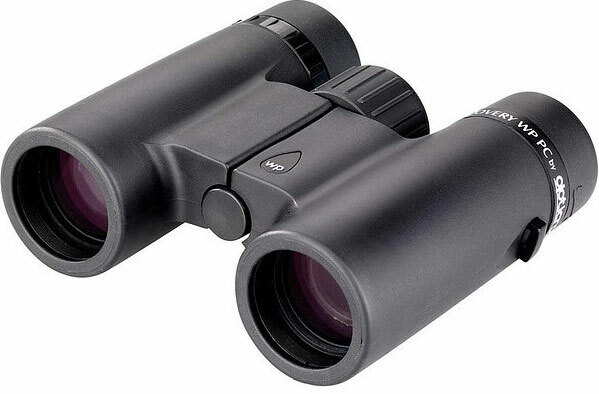 This roof prism binocular is available in both 8x42 and 10x42 configurations, which according to Opticron, the Aurora has been designed and manufactured to be smaller, lighter and sharper with a wider field of view and better close focus compared to any of their previous BGA models. 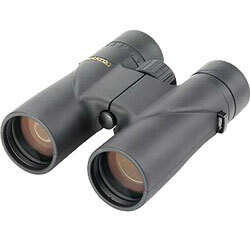 Aurora binoculars deliver a great balance between size and weight, resolution and field of view. The optical design doesn't just reduce the overall dimensions and finished weights of the Aurora but delivers an excellent 7.2° field of view with the Opticron 8x42 and a good 6.5°with the Opticron 10x42. Close focus distance is also under 2m. They have been manufactured using a lightweight alloy body and beautifully finished in a textured rubber covering with patented shock-proof rubber objective lens protection. They also come in a choice of finishes; black, green or black and gunmetal and each Aurora BGA is supplied complete with a comprehensive 30 year guarantee, a soft leather case with a rainguard, neoprene bungee lanyard and removable integral objective lens caps. Oasis is the name given by Opticron to their proprietary dielectric coatings. It consists of a 64 layer coating process that they apply to the reflective surface on their high end roof prisms. According to the company, Oasis improves light emission to 99% over a broader spectrum at the reflective face which compares well with other dielectric mirror coatings used by other manufacturers and is a vast improvement to the aluminium or silver coatings used on other roof prism binoculars. The result is a measurable increase in light transmission and overall image clarity.